Summer Infant Deluxe Right Height Feeding P..
Summer Infant Large Comfort Baby Bather - H..
Summer Infant Splish N' Splash Newborn to T..
Summer Infant Stylish & Secure Step To .. The Pop N' Play™ Portable Playard allows you to easily create a safe portable play area for your child. 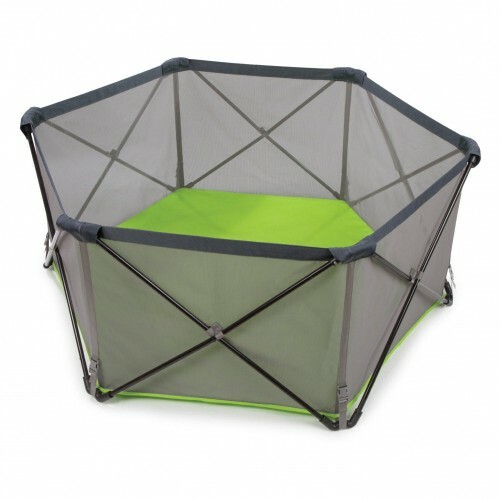 The ultra-lightweight and compact fold playard can be set up and taken down in seconds, making it perfect for use at home, a day at the park, or a weekend at the beach. The water resistant floor helps keep baby dry even on damp grass. Airy mesh sides provide added visibility. A travel bag with shoulder strap is included for on-the-go convenience.